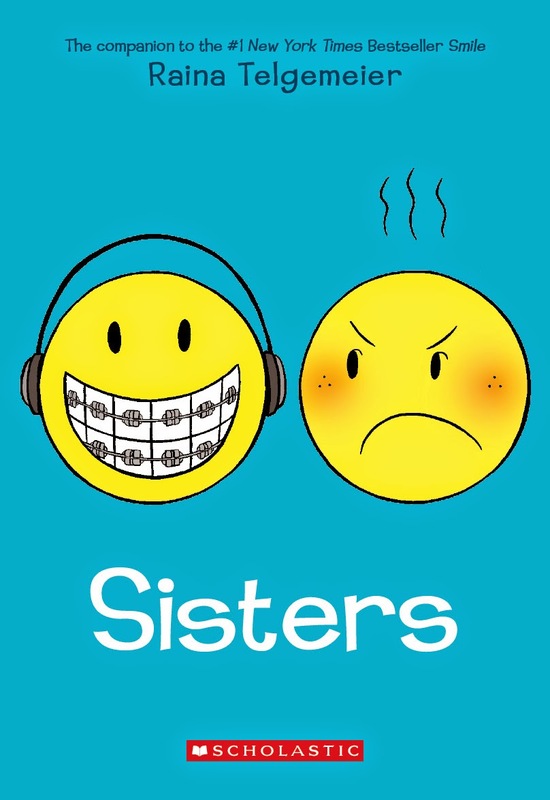 A companion to Raina Telgemeier's best-selling memoir Smile, Sisters tells the story of Raina's experiences as a fourteen-year-old girl struggling to get along with her younger sister, Amara. Though having a sister was once Raina's greatest wish, once Amara is born Raina feels having a baby in the house isn't everything she thought it would be. While both Amara and Raina love art and drawing, they have many differences that often put them at odds with each other: Amara loves snakes, Raina hates them; Amara loves talking with everyone, Raina loves tuning everyone out and listening to her walkman instead. The girls share a room, fight incessantly, and things in their household get even more chaotic when a third child is born--their baby brother Will--with whom they also have to share their bedroom. When their father loses his job, household tension increases and Raina's mother thinks it might be a good idea for her and the children to take a long roadtrip to visit their cousins. The drive is long, hot, and boring, Raina's older cousins have no interest in playing with her, their van breaks downs, and their mother confesses that the roadtrip wasn't just a spur of the moment vacation, but rather a temporary trial run at a separation between herself and their father. Worried about their parents' possible divorce, feeling alone and vulnerable, Raina and Amara learn that having a sister can be a wonderful gift in a world where nothing feels secure. Raina and Amara's penchant for fighting, pushing each others' buttons, and getting on each others' nerves is humorous at first, but really wore on me as I kept reading. Their constant fighting and extreme highs and lows portrayed through Telgemeier's drawings were too convulsive and unrelenting. Though I appreciated the growth of their relationship at the end of the book, I definitely enjoyed reading Smile more. Click here to read my review of Smile.